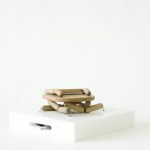 Tonight we have 2 pieces from Laikingland, designers and manufacturers of beautifully crafted kinetic objects. 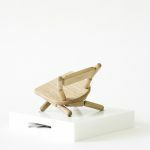 First is a 1:6 scale version of Fresh West’s classic exhibition crowd pleaser, the collapsible Lazy Chair. 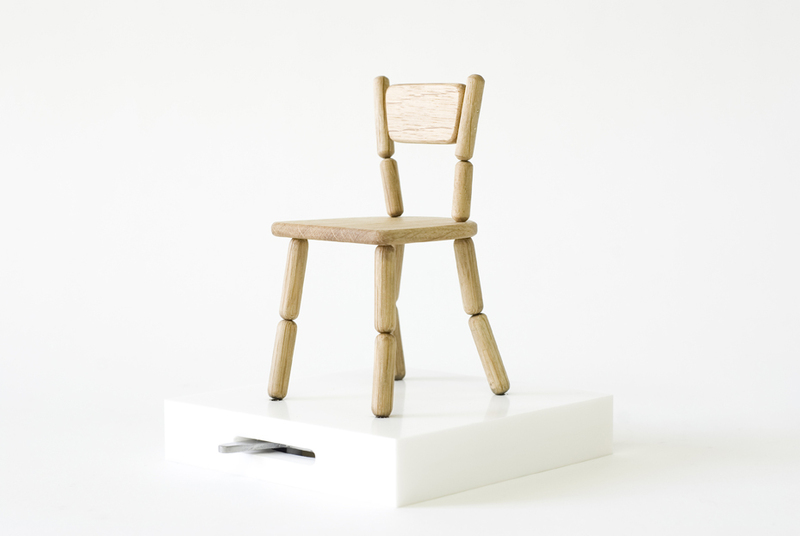 A push of the lever and the Lazy Chair collapses, it slowly returns to its standing position under the force of a torsion spring. 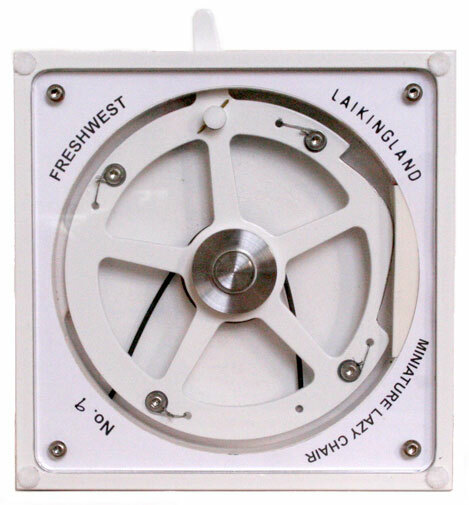 The mechanism is viewable through a transparent window in the base. 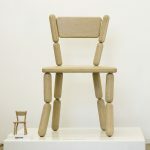 The idea is based upon small wooden animal toys that are held together by tension springs until the base is pushed in, the tension is lost and the animal collapses. 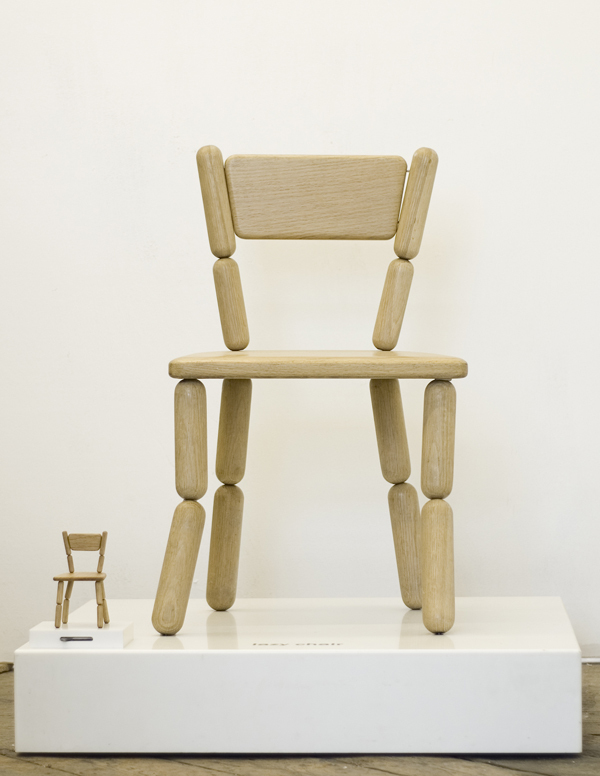 The Lazy Chair was first shown at London Design week in September 2008, surprising and delighting the exhibition visitors. 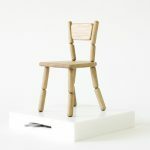 It went on to receive international acclaim when shown at the entrance to the Moooi exhibition at the Milan Furniture Fair 2009. 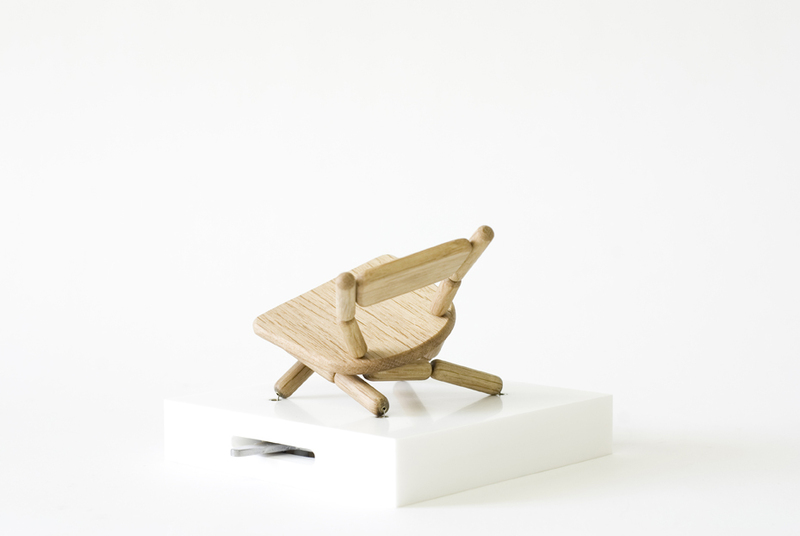 Height: 15cm (6″) – Limited edition of 30. £212.70 (excl. VAT) – Sold. 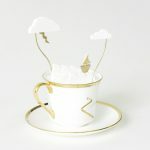 Secondly the Storm in a Tea Cup by John Lumbus pays homage, in a very literal sense, to the famous idiom meaning a small event that has been exaggerated out of all proportion. 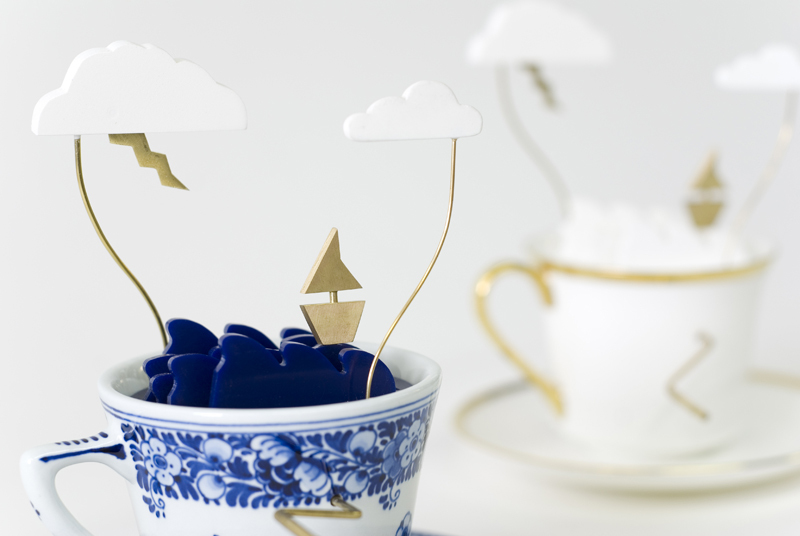 Turn the handle and the golden boat rides the mechanical waves, above the stormy clouds periodically reveal a shining bolt of lightning. £468.08 (excl. VAT) – Sold. John has been part of the Laikingland family since 2008 when he was the first craftsman to join our assembly team. His skills and knowledge of kinetic objects however go back much further than his arrival at Laikingland. 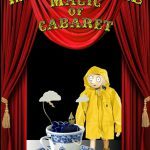 We actually know him from the mid 1990s and the days he worked as maintenance man at the ‘spiritual home of automata’ (Cabaret Mechanical Theatre in Covent Garden). 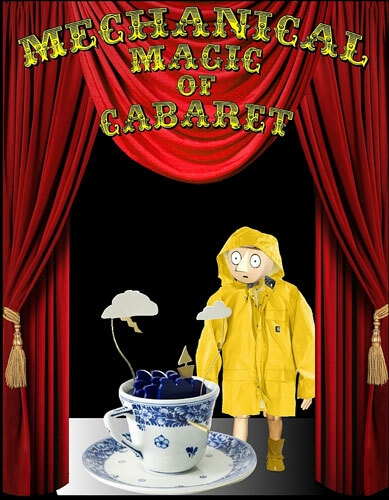 After Cabaret closed its physical doors in London, John (luckily for Laikingland) decided to move out of the big smoke and head North to Ilkley, Yorkshire where he now spends his time either lending a hand at Laikingland or designing and making wonderful mechanical toys and automata in his home workshop. 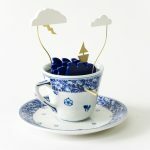 Storm in a Tea Cup by John Lumbus is a timeless automata design, initially produced using second-hand bone china tea cups. 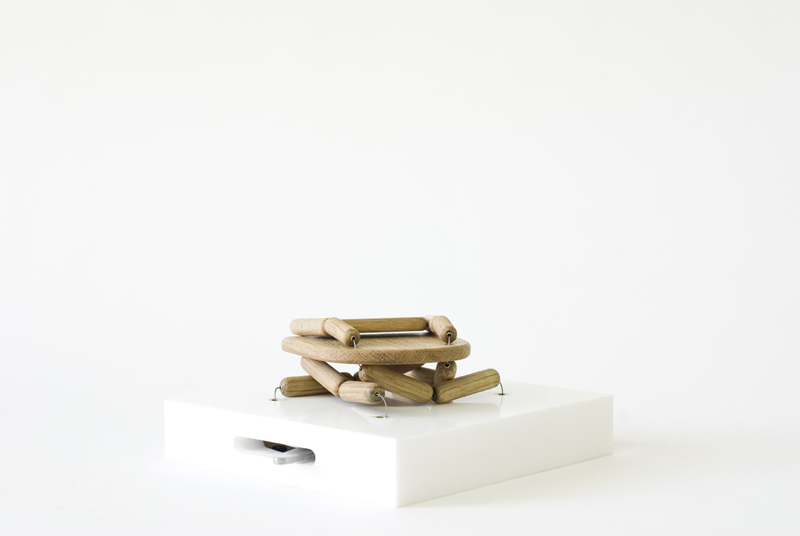 Together with John, we chose to develop this piece as a Laikingland kinetic object. 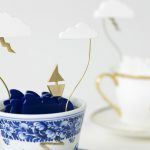 The teacups are now made by Royal Delft in the Netherlands and New English in the UK. 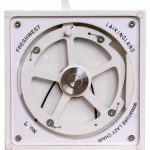 Both companies are devoted to craftsmanship and Laikingland liked the contrast in company history with one very traditional at nearly 350 years old and the other very New and exciting and only 3 years old. 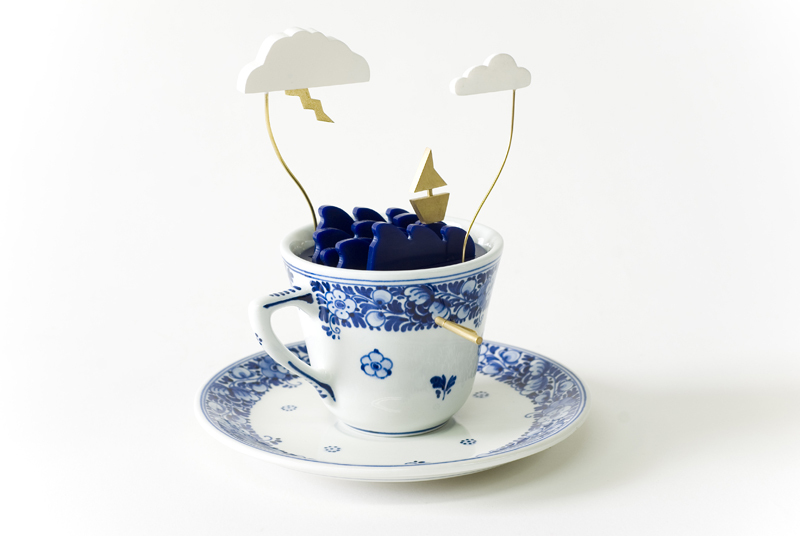 In 2010 they are delighted to produce two contemporary versions of Storm in a Tea Cup. 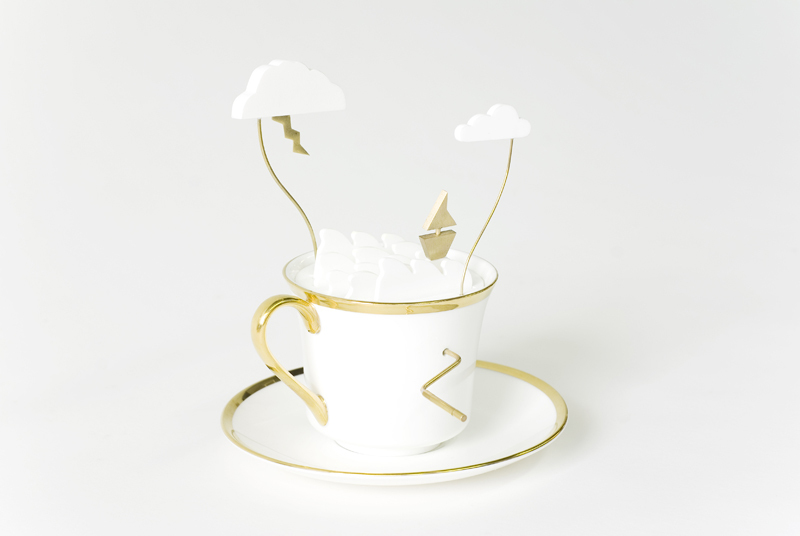 Each version is available as a numbered edition of only 12 pieces.